One thing that I still missed from my visit to Erie Pennsylvania a long time ago is the barbecued baby back ribs that was served by the restaurant in the hotel that I stayed in. The butcher at Kepong Baru Wet Market offered me this nice rack of ribs and I bought it immediately. At home, I decided to slow roast the pork ribs until they turn tender. I did not prepare any marinade but I just used hickory barbecue sauce bought off the shelf from a local hypermarket. The end result.......a tender and juicy hickory roasted pork ribs....mmmmm, delicious! Rub the pork ribs with the all the ingredients. Leave the pork ribs aside. Preheat oven to 120 Deg C for around 3 minutes. Put in the marinated pork ribs and roast for 2 hours. Check the roast from time to time, to ensure that the ribs are not burned. Rub the pork ribs with more hickory barbecue sauce after 1 hour 45 minutes of roasting.and continue to roast for another 15 minutes. Let the ribs rest for 10 minutes before serving. wah!!! super-duper yummy!! i want that!!! wow..so much time is needed in roasting! 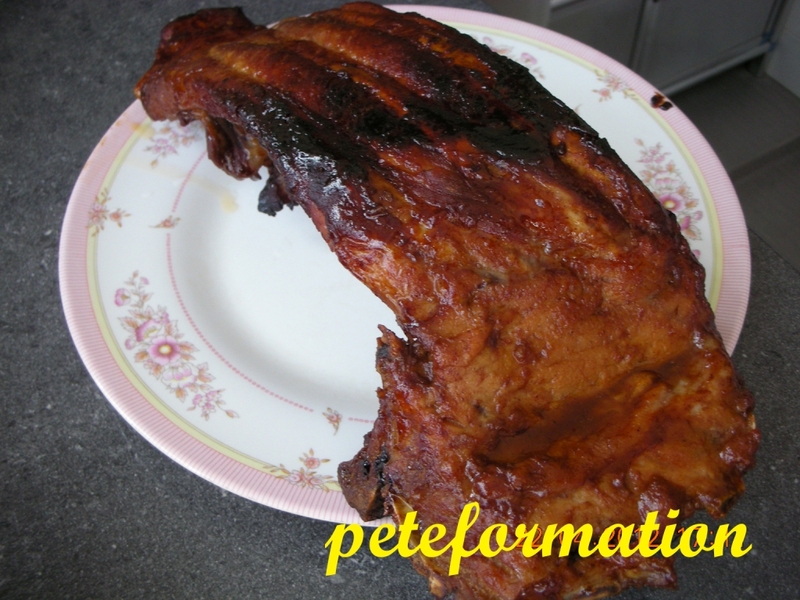 Wow~ you roasted your own pork ribs in your kitchen and it turned out fantastic and mouth-watering! Looks good, but we have cut down in meat. Omigawd!!! This is a beauty!!! Didn't cut it, show the inside and see... Drool! Drool! So easy??! So huge! For the entire family? It looks yummy, yummy to me too! 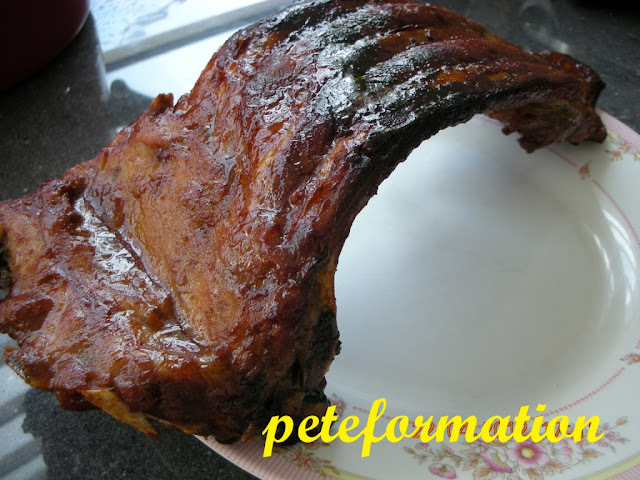 Looks so yummy.........Thanks for sharing your own recipe of this deliciously roasted ribs. Hmm, look so tempting and good!